- Opportunities to practice listening/speaking skills through scenario simulation/brain storming/video watching, and reading/writing skills by high-quality extra materials. 1) Daily Chinese - including introduction of phonetics and daily expressions. After taking this class, learners can have a basic understanding of Chinese Mandarin and make basic conversations of daily living such as exchanging personal information, talking about daily arrangements and food, asking about price, introducing the city and the weather, telling your hobbies etc. In addition to the dialogues, the selection of reading materials and practice activities will make the content as rich and varied as possible, in order to stimulate the learners’ interests. 2) Business Chinese - covering business topics in the modern Chinese context. Scaling the language barrier is one obstacle, and bridging the cultural gap is another. This course also focuses on culture points and formal Chinese usage under business contexts, with supplementary learning materials to help you succeed in various situations around a workplace, so you can achieve understanding in more ways than one. Lin delivers an exceptional lesson experience and ranks in the top 15% of our teachers nationwide. My class is designed in a student-friendly way. I will always discuss your learning goals and expectations at the very beginning; I believe a mutual understanding of the big picture between the student and the teacher will serve a good start. I enjoy exchanging ideas with my students in the class and let them dig deeper through this two-way communication. In my class, you can learn with joy, making a steady progress step by step. I will also introduce a most-fit textbook to you, with plenty of supplementary learning materials provided, as well as a customized teaching plan offered based on your goals and learning progress. This young beginner was practicing a short sheet on notes reading with a complex rhythm mixed of eighth, quarter, and half notes. Two little students taking my playful Chinese/Mandarin class. Chinese lesson to an elementary student. She is a great teacher. She gave me good advices for renting the instrument and buying book. Besides Lin spent her extra time to give me good advice on how to achieve my goal and how to learn violin fast. My high school daughter wanted to learn Chinese. Lynn came highly recommended by a former student of mine. Not only does Lynn customizes her lessons to meet my daughter’s needs, she is patient, kind and understanding. She is professional and knows her subject matter. She makes sure that my daughter is always progressing in her learning. I would highly recommend her. 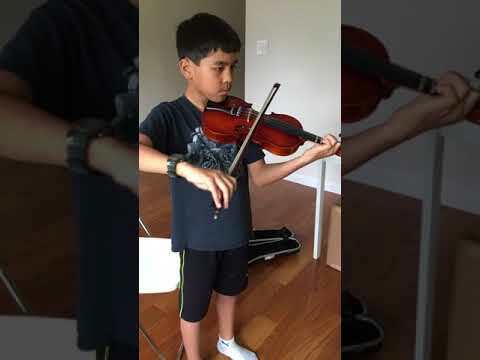 My son has been taking violin lessons with Lin for 2 years now and he has learned to love music and feel confident while playing in his school orchestra. This is my son's first instrument and now he is the first chair in his 7th grade orchestra! He really enjoys lessons with Lin and she always gives great feedback. I’ve been learning from Lin over a year now and I’m still enjoying the class. I’m an adult student and since I have piano background, Lin tailors the class to make it more interesting. Lin is patience and going beyond for her student! Lynn is great teacher who cares about her students. She’s really vested in seeing her students succeed and takes pride in their accomplishments. My daughter loves her lessons, and is always excited to tell me about something new she learned that day. Lynn is nice, respectful, patient and professional. My son has been learning Violin from Lynn for about 6 months now and helps with any questions he has and provides her tips to do it better. I highly recommend taking lessons with Lynn. I've been taking lessons for about a month now and I think Lin Is a great teacher. she gives constructive feedback and tells me exactly what I need to work on, why its important to know, how to improve that technique, and then she shows me herself how to do it. she also tells me what I am doing well. I'm enjoying learning from Lin, she is a really nice person to talk to, she is very friendly but firm also expects you to meet her expectations. Lin was our daughters teacher for over two years. She is kind, patient, and so wonderful with children. Our daughter had never played violin before and Lin taught her so much, and also taught her to love the instrument. We have enjoyed her so much and are so thankful we got to experience her wonderful gift of teaching. LIN is very professional and could directly could adapt to my level. I am very happy and confident that I will learn a lot with her! Lin was very professional and well prepared for my 10 year old son's first lesson. He enjoyed working with Lin and thought she was very thorough. I like how she spent time reviewing the lesson and homework with me when I came to pick him up. Ms Lin teaches my son violin. We had tried a professional school earlier, but were not satisfied. So we gave home tutoring a shot. We have been very impressed with Ms Lin. She is dedicated and patient and both strict and playful at the same time, which works well for kids. We would highly recommend Ms Lin for violin lessons. Ms.lin is a wonderful teacher. She is patient ,friendly and professional. She has taught my daughter to play violin for a year. My daughter has made great improvement .She can move fingers on 4 strings freely ,read notes faster than me .She looks forward to seeing her every week , so I recommend her . My daughter, currently 14, has been learning Chinese from her for about a year so far, and she really enjoys it. I can tell that she has learned a lot from Ms. Lin so far, and she really enjoys it. Ms. Lin is a native and is knowledgeable. My daughter is naturally very curious, and Ms. Lin has been able to answer her questions with patience. I would definitely recommend Ms. Lin to another student. Ms. Lin is a very knowledgeable and enthusiastic teacher. She is good with kids and genuinely wants them to learn and gain a passion for the violin. She was a very good teacher for my kid as she started her violin career. My two kids stayed with Ms Lin and their Mandarin has improved quite a lot. They also enjoyed the interesting chats Ms Lin brought up every time. They not only improved speaking, writing, but also learnt quite a lot about Chinese culture. Thank you Ms Lin! I have had Ms Lin teaching my son for a year. It has been a big difference since my son switched from his after school program to Ms Lin. Before, he hated the tedious writing homework and school. Now he is interacting with Ms Lin with intense interest, enjoying the class. I can also tell my son's Chinese improving significantly. Because Lin has done such a good job, I now have my daughter taking lesson from Lin as well. My 13 yo son wanted to learn violin, and I found Lin's profile online and she seemed like a good fit. Her communication was prompt, and her schedule flexibliity worked well for us. She's very friendly, supportive and always provides clear instructions during the lesson as well as specific homework for my son to practice in between lessons. Lin teaches my 6 year old son the beginning level violin lessons in fluent English. She is very patient, dedicated, professional, has an excellent understanding of music and a good musicality. Within the 6 months of learning, my son can play many lovely songs, like Jingo Bells, Odd to Joy. He has made tremendous improvement, and can move his fingers on G, D, and A string freely, and can read the notes faster than we do. Lin provides different versions of violin classes, one for adults and the other for kids. She is a wonderful teacher, helps us enhance our knowledge of musical theory and definitely violin too. We highly recommend her. Lin is an amazing tutor. She is dedicated and more importantly provides the right set of tools and tips to make learning easier. She is extremely punctual and always works around schedules and is very accommodating. I started learning from her recently and an optimistic about where I will get a few months from now. Lin's biggest asset is that she likes to know what you expect from the whole experience and coaches accordingly. Lin is absolutely the best. I must be one of her older students - never having learnt any kind of musical instrument before. She helped me get the 'feel' for the music. With every class, I have been more inspired to practice more and learn better - thats just the kind of teacher she is. Lin has been tutoring my son (8 years old) in Mandarin each week for 6 months. She's wonderful! She's a fluent native speaker, kind, patient, friendly, and flexible. She helps my son do his homework and write his journal. My son looks forward to seeing Lin each week. I highly recommend Lin to anyone. Lin is an amazing violin teacher. We feel so blessed to have found her. She is punctual, knowledgeable, and fantastic at what she does. She is very encouraging and has been wonderful with our 6 year old. She makes learning fun and easy to understand. Our daughter looks forward each week to seeing her and we have been amazed at her progress. We highly recommend her for anyone looking for a teacher. Lin is an excellent teacher because she is knowledgeable, engaging, and professional. She adjusts her teaching method in accordance to students' needs and keeps the class challenging and fun. She is a careful listener and pick-ups on important techniques the student needs for practice. She will pick songs for students to learn for fun. Last Christmas, she taught us "Jingle Bell" and my kid just played it in our family party. It was wonderful! We are lucky to have her as our music teacher. I highly recommend Ms. Lin as a Chinese teacher/tutor. My children, aged 2 and 4, and I have been studying Chinese with Ms. Lin for over 3 months and I have learned greatly in a short period of time. Ms. Lin is very professional and works well with people of all ages and levels. I have observed her teaching my children, who are beginners, every week and she is able to be playful with them and firm at the same time, making their learning fun. As for her ability to teach an adult like myself (an intermediate level with experience living in China), she has extensive knowledge of the Chinese language and culture and is able to make learning such a difficult language interesting and simple. She is also very patient, reliable and organized. Most importantly, Ms. Lin is very passionate about teaching Chinese. Such passion, combining with her knowledge of the subject, especially makes learning exciting and stimulating.